As many of you know, I quit my career. What happens, when we stop doing what we’ve always done? Something new arises, that’s what. In the course of my spiritual journey thus far, some exciting things have happened. When I chose to leap off this cliff and follow my heart, my hope was that I would be shown the path, that new opportunities would emerge, and I would be grateful for my journey. All that has happened and continues to unfold in miraculous ways. Through synchronicity, trusting what shows up in front of me, the conversations I overhear, and where I am drawn, I have been led to new teachers, fulfilling experiences and inspiring endeavors. When I first shared with people that I was leaving my job, many said, “What will you do? You will be so bored.” Others said they would go crazy if they had all that time on their hands. Take it from me, as a woman who has walked the path, that is not true. Staying stuck to a routine out of fear or habit or because we think we have nothing better waiting for us is what kills dreams and makes regret. If you believe and choose in the direction of your heart’s desire, you will be delighted and surprised every time, I promise. I swapped my 50+ hour week and sterile work environment for creative play at a Kinder program full of heart. 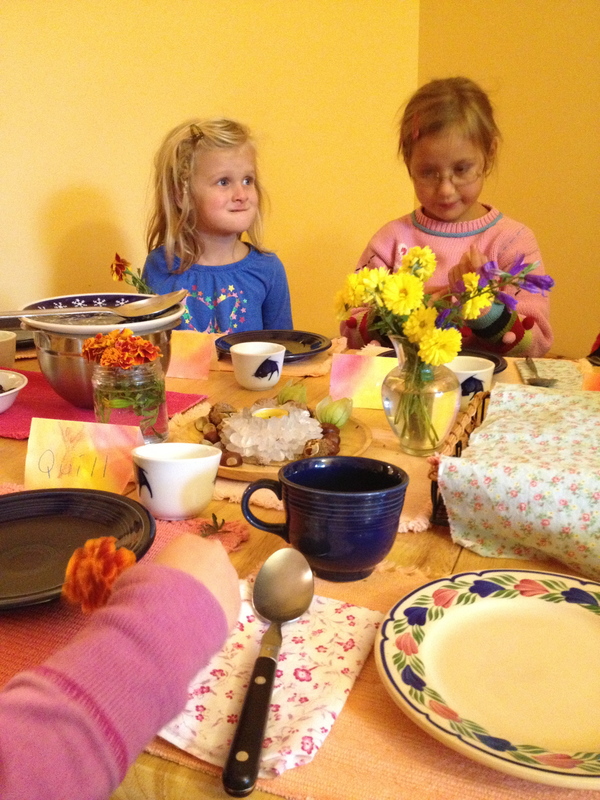 I am volunteering at a home school based on Waldorf Education. Picture this, one acre of beautiful gardens, a pond, huge trees, a play area, bunnies, chickens, and five and six-year-old little beings. I arrived at Kinder Heart in time for the morning walk. We sang as we walked, fed the turtles and the fish and gathered eggs from the hens. 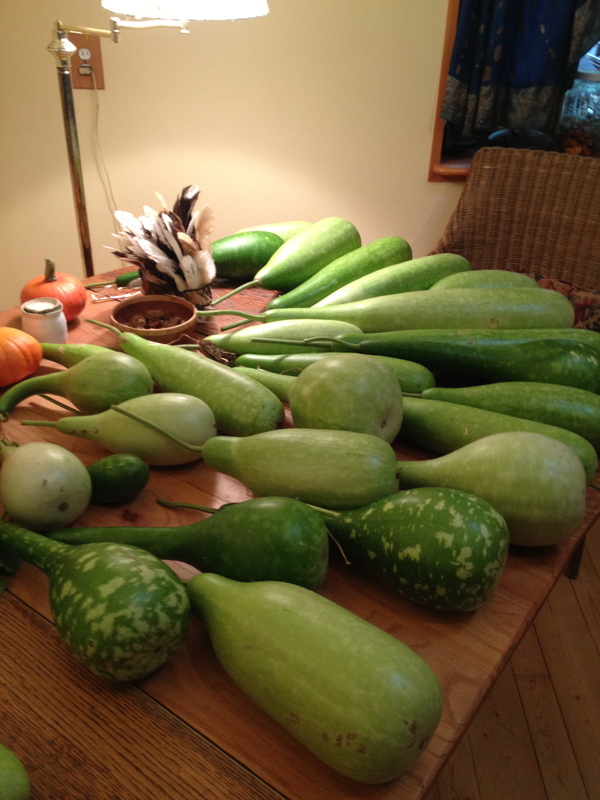 Then we harvested the gourds and the squash. The cute little children carried the vegetables I cut and carried them to wheel barrows, then we all pulled in the cart together. 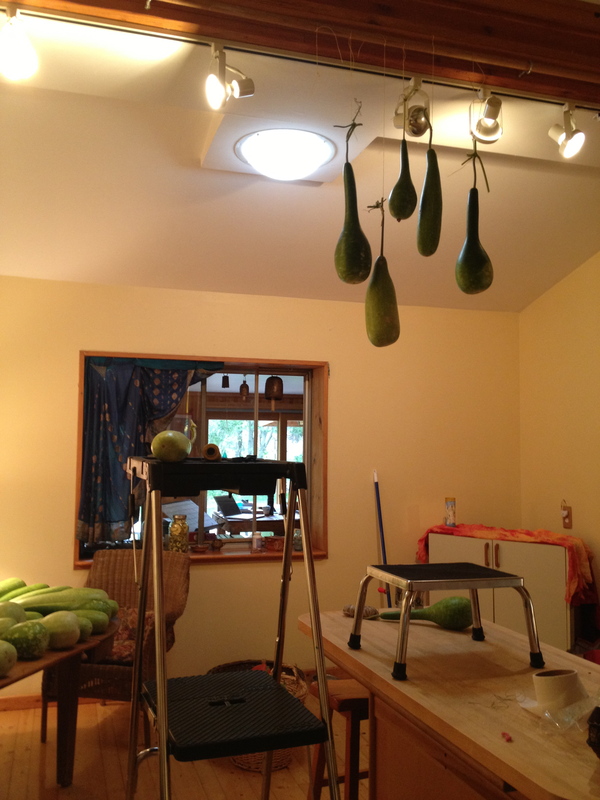 The gourds were hung to dry for houses we will make for Fairies, of course. Then, we gathered in circle with Sage (the teacher) on the drum, and sang and danced and acted out the roles of the animals in nature during harvest time. 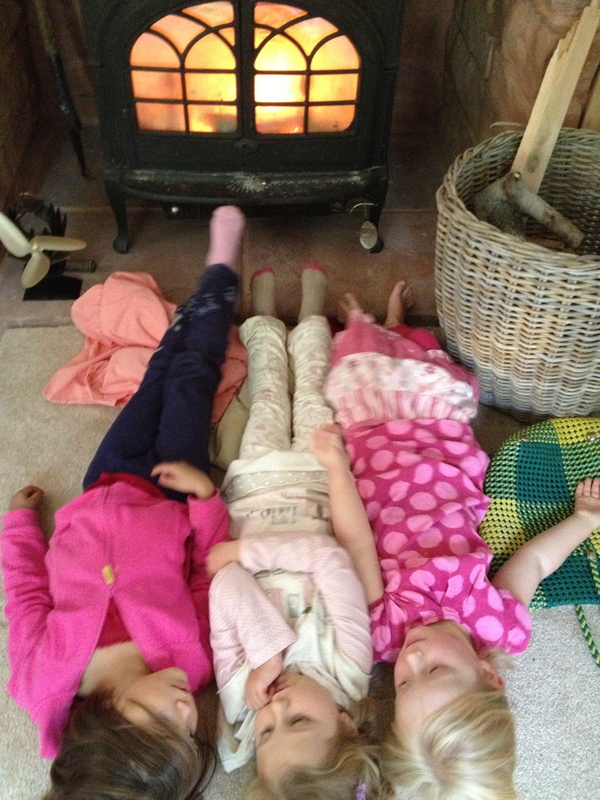 I crawled around on the floor with the kids, danced, laughed and played. 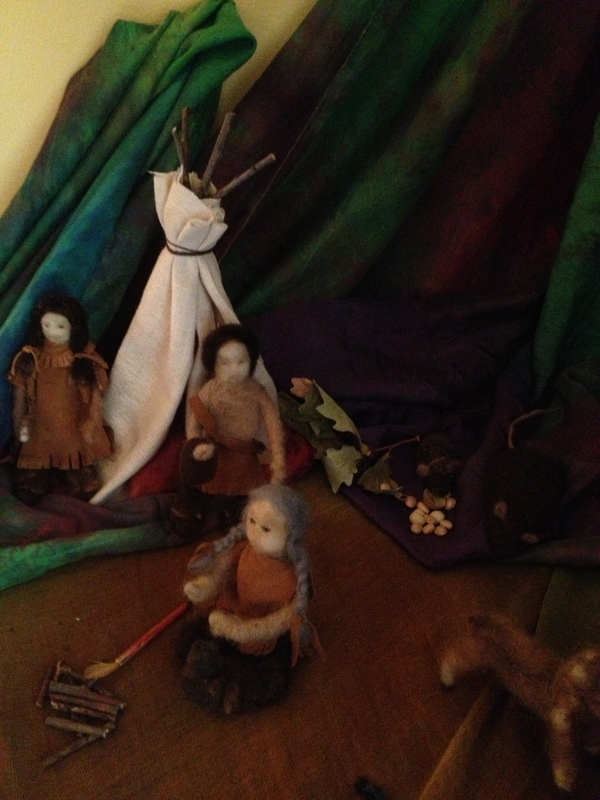 Story time included gathering miniature dolls to represent characters in our story. We laid them all out and made different scenes from the book. The theme of the story was about giving and receiving, sharing our resources with others, and not hoarding or being greedy. Spirit came to the mother in the book and warned her. 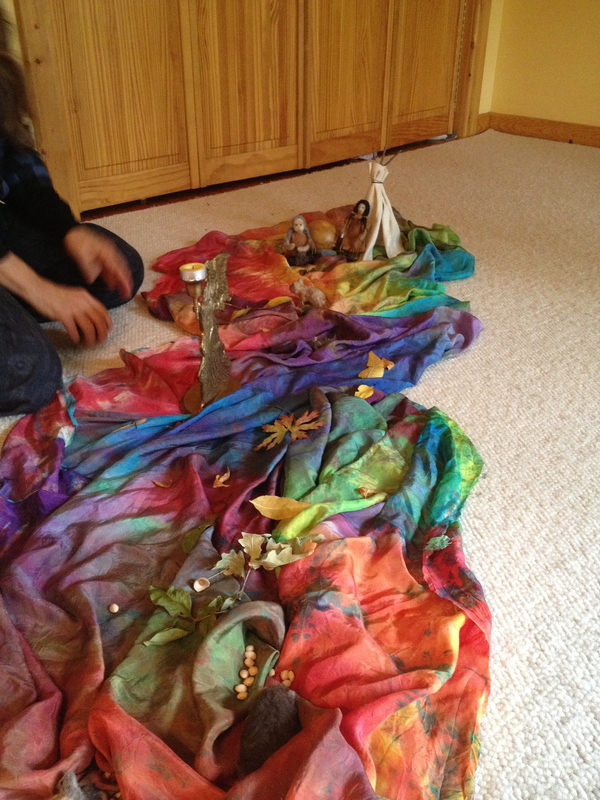 Soon the children began to share with me about how Spirit has visited their dreams, and the messages they learned from Spirit. Uh huh. Yep. That’s right. Wow, quite different from the curriculum of public education. For snack time we ate gluten-free zucchini muffins that the children had made the day before with zucchini’s harvested in the school’s garden. 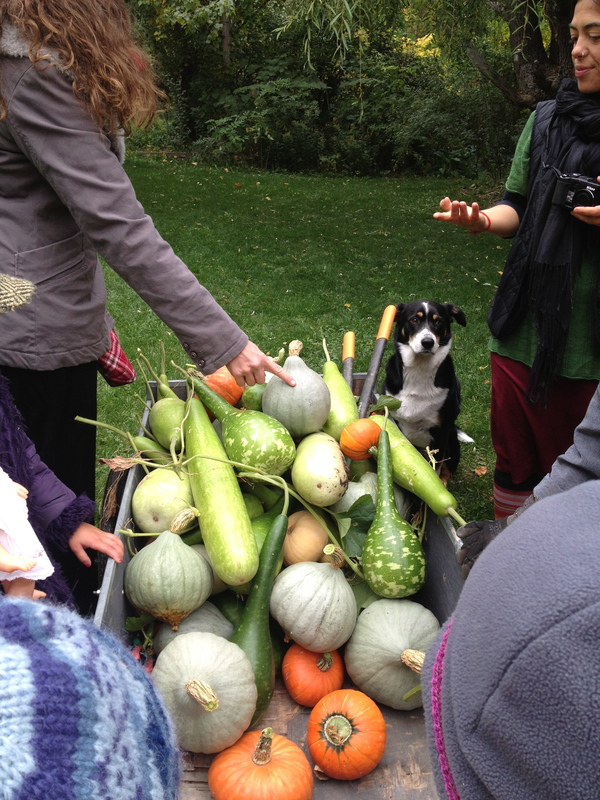 We gave thanks to mother earth for our food and sang a song rejoicing in the blessings of our bounty. Again, quite a different scene from the crowded, mad rush of a public school cafeteria. 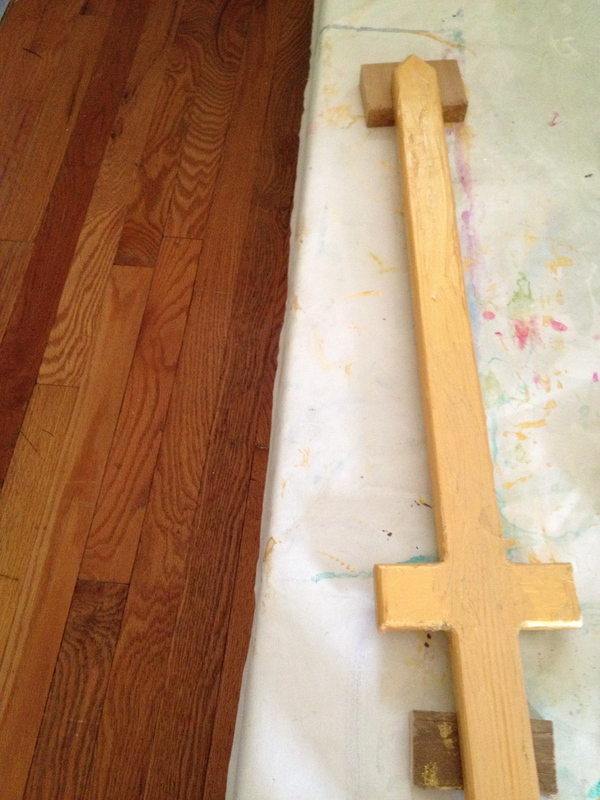 In the afternoon, we gathered by the wood burning stove and painted our swords for Archangel Micheal. Where public school has confused a separation of Church and State to mean we don’t give thanks for anything, in Waldorf, spirit is honored and the earth is offered thanks. Children are taught that our food comes from the earth, they learn the cycles of the seasons, understand the way food grows, and appreciate it. In public, I am sorry to say, there is much disregard, food is highly altered (picture apple slices in plastic coated with chemicals to keep them from turning brown) and children not only do not give thanks for their food, but they throw much of it in the trash untouched. We might as well force homeless people to go to school, at least then we’d feed the hungry and not waste food. 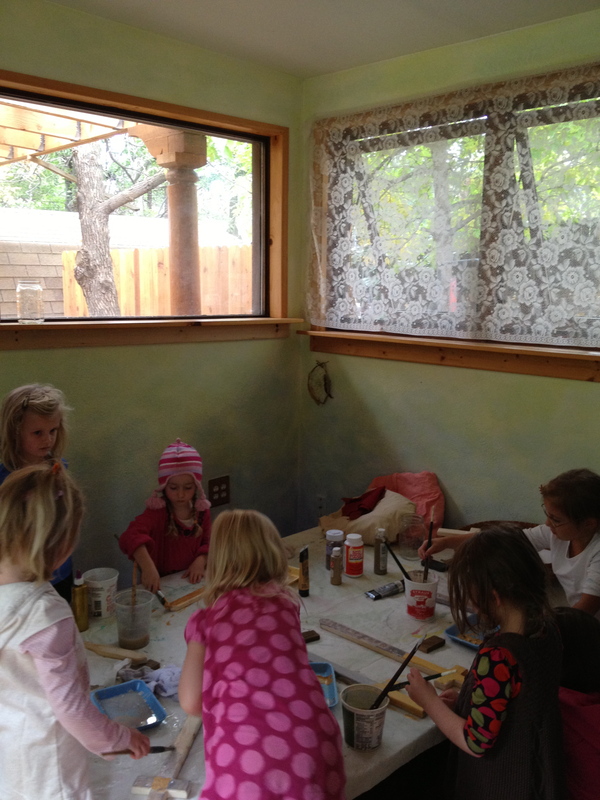 I will be volunteering at this home school on a regular basis, studying from a master teacher, being with children in a creative way and enjoying more time in nature. I first came across Sara Avant Stover on Facebook and soon learned of her book, The Way of the Happy Woman. Inspired by her path, I began to follow her writing, read her book, and put into practice many of her teachings. The work she does with reminding women to sync up with nature is timely, inspiring and on the cutting-edge of women’s work. 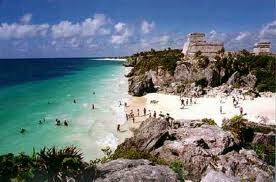 When I first saw her announcement of her Yoga Teacher Training in Tulum, Mexico, I immediately wanted to go. Checking on the details day after day, waiting, wondering, hoping, I put off signing up for a couple of months. Finally, standing in the truth of my Heroine’s Journey and trusting that I am called to this event and work for a reason, I signed up! I will practice yoga on the Maya Riviera in January, manifesting a dream, years in the making, to attend a yoga workshop in Tulum. Not only will I be in retreat, I will be learning from a highly respected, inspiring woman who just happens to live in my community. How great is that!? With all this freedom, it’s time to fulfill my dreams. Cooking and eating healthy food is top on my list. As a person who has struggled with weight, sugar addiction, carb addiction and who often used food to feel good, I knew it was time to get my mojo back! When I saw Marcie’s photo on Facebook, I clicked her page, was led to her website, saw her offering and immediately signed up. When we know, we know. If we can take excuses out of the picture, we are left with having our dreams fulfilled now. You don’t have to wait. I am currently gluten and dairy free and cutting back on refined sugar and I feel better than ever! Giving myself the gift of supportive community to practice cooking and nutrition inside of has made all the difference. What happens when one leaves their career to head out on a Heroine’s Journey? Do we get lonely? Are we bored? Will we be penniless and homeless on the streets begging for food? Leaving my career has turned into deep self connection and care. It’s a journey full of heart. I’ve given up alarm clocks, a long commute, trading time for money, mandates from the state and Federal government, contracts, legal ease, and traded it all in for Tulum, yoga, Mojo Mastery, and warm baths. What could you trade in? Where could you cut the ties, let go, and make room for something new? In what seemed to be a loss, walking away from a busy life as a full-time career woman and health-care, I gained my sanity and time for personal self-care. Isn’t it ironic? Perhaps if the system we live in didn’t require us to work so many hours we’d not need health care in the first place. Given time in the sun and with our families, we are mighty healthy, indeed. When one door closes, another does open, and it is often lighter, brighter, and better than the room we were in before. What dreams have you had for years? What wish list items have you recorded in your notebooks, or created on your collages? Is it time to begin to allow yourself to receive what you deserve? You deserve to expand and enjoy exciting experiences, on the cutting edge of creation! You are the master of your own life! ← Are You Fed Up Yet?